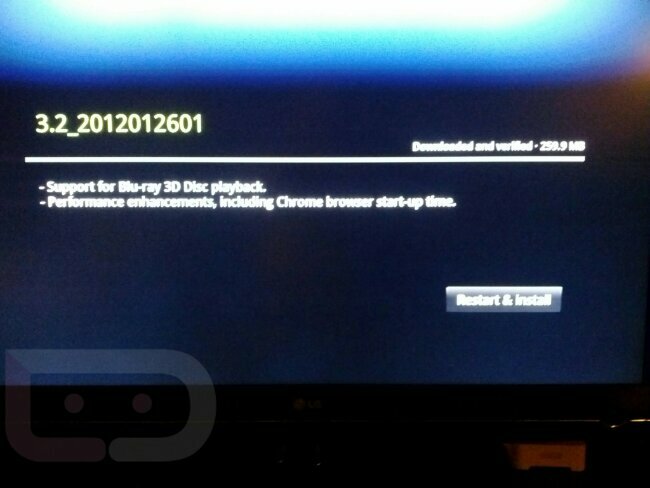 I fired up my Sony Blu-ray Google TV tonight and was surprised to see an update available. It’s a decent size at almost 260MB, bringing with it performance enhancements and the ability to play 3D discs. If you are not prompted to update, head into System Settings>About>System updates and pull it manually.